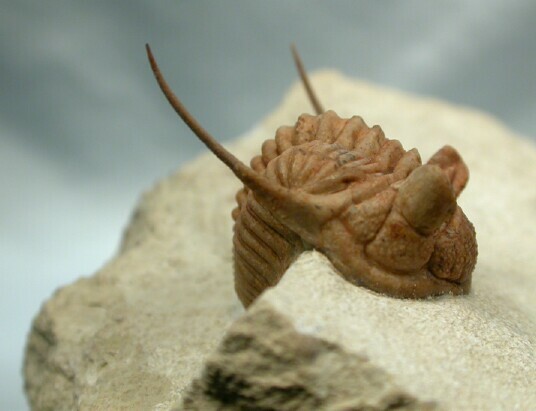 Coming from the Middle Ordovician Asery Level deposits of the Wolchow River region near Saint Petersburg, Russia, this is an example of the Phacopida trilobite Chasmops praecurrens. 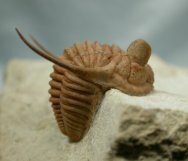 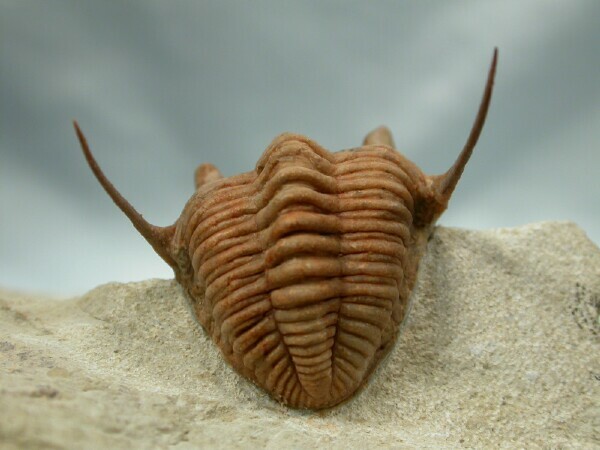 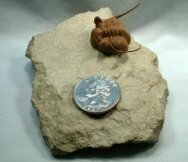 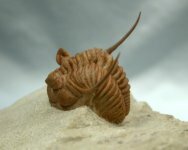 It is a very rare trilobite with but a few found annually among many hundreds of trilobites collected. 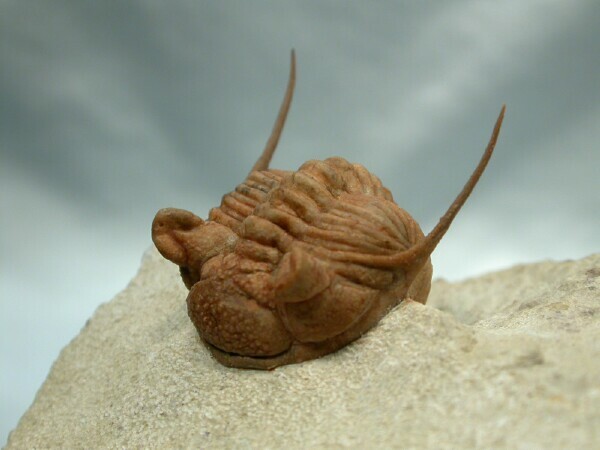 Its caramel-colored Calcite shell is well set off by the white limestone matrix. 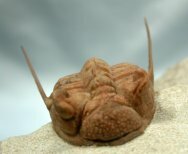 Note the fine preservation of the glabellar pustules that are characteristic of the species.